Western Australia is close to paradise for honey bees: flowers are available all year round; temperatures are warm enough for workers to fly on most days; there is no Varroa mite and honey yields, at up to 200kg a hive per year, are amongst the highest in the world. Despite this the honey industry is only just emerging from a period of stagnation due to low honey prices and faces threats from climate change, bush loss and degradation and bushfires. 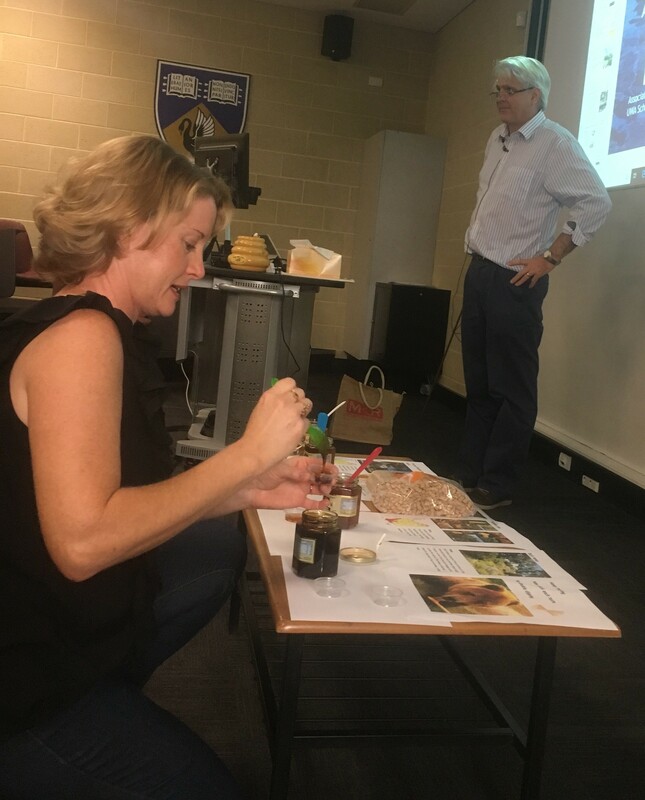 The Honey Bees Product CRC aims to promote the industry across Australia so that it can reach its potential for production, exports and profitability. The WA industry is unusual internationally as there is a separation between pollination services and honey production. Honey production is an ecosystem service derived from native vegetation and is therefore close to ‘organic’ and WA honey is starting to command a price premium. The aim of this project is to value apiary sites based on their capacity to produce honey and sustain and increase hive populations. This seminar presents a provisional analysis. Dr Ben White and Ms Cheryl Day presenting seminar.